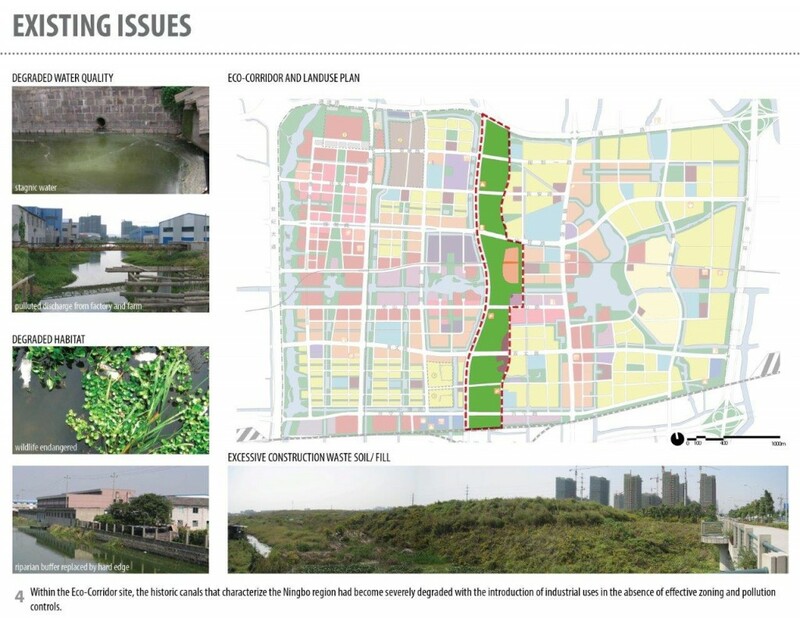 The Ningbo Eco-Corridor project in Ningbo, China, was awarded a 2013 national ASLA Honor Award in Analysis and Planning. 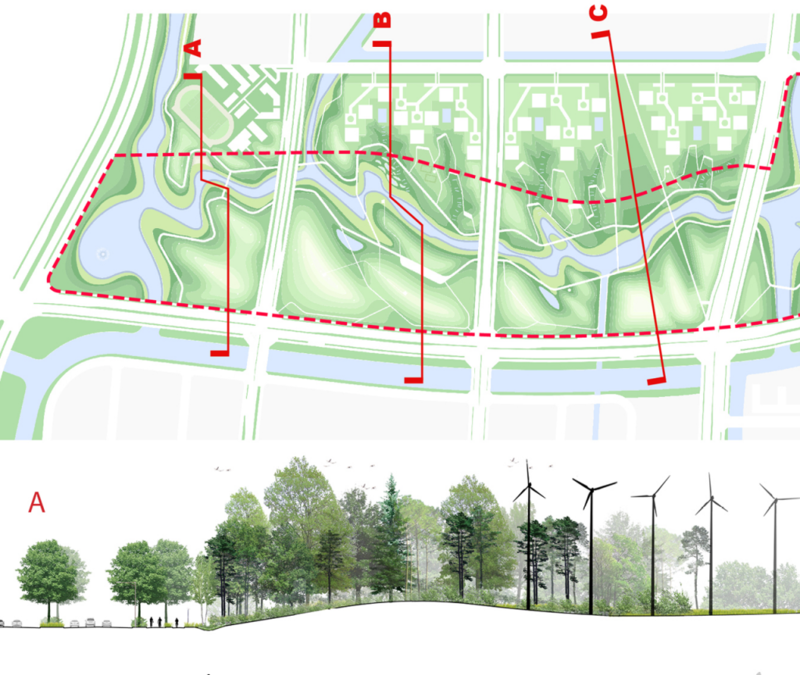 Herrera provided extensive environmental consulting on this complex project, working closely with project lead SWA Group, OJANEN_CHIOU Architects, Biomatrix Water, and the Ningbo Landscape Architecture Design Research College on this project with a focus on water, habitat, and other site issues. Through the innovative synthesis of topography, hydrology and vegetation, the Ningbo Eco-Corridor project transforms an uninhabitable brownfield into a 3.3km long “living filter” designed to restore a rich and diverse ecosystem, create synergy between human activity and wildlife habitat, and serve as valuable teaching tool and model for sustainable urban expansion and development in China’s rapidly advancing economy. 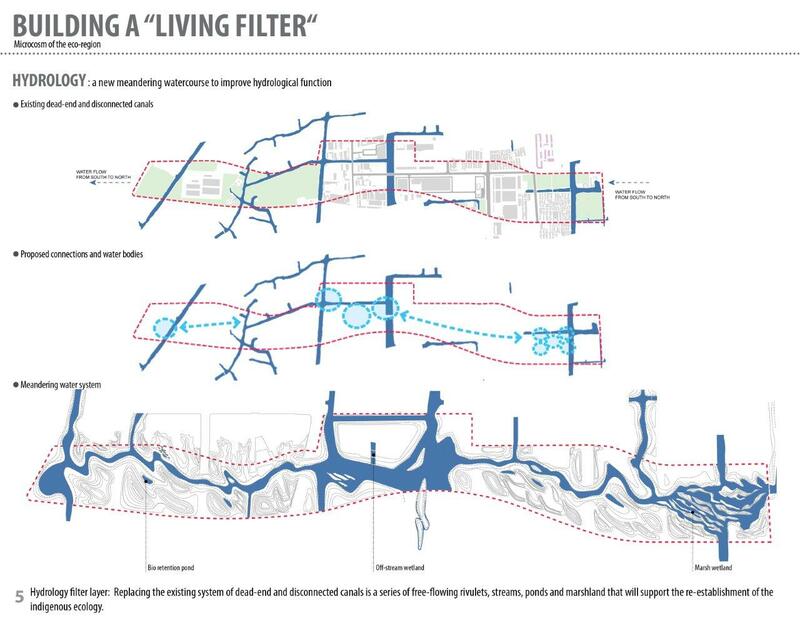 The knowledge and integration of site hydrology led to a cohesive site strategy for water and site systems that allowed for the corridor to become a Living Filter, as shown in the site hydrologic diagrams of both passive and active elements. The active system includes a series of floating islands by Biomatrix Water that occupy the margins of waterways to provide additional water quality filtration. 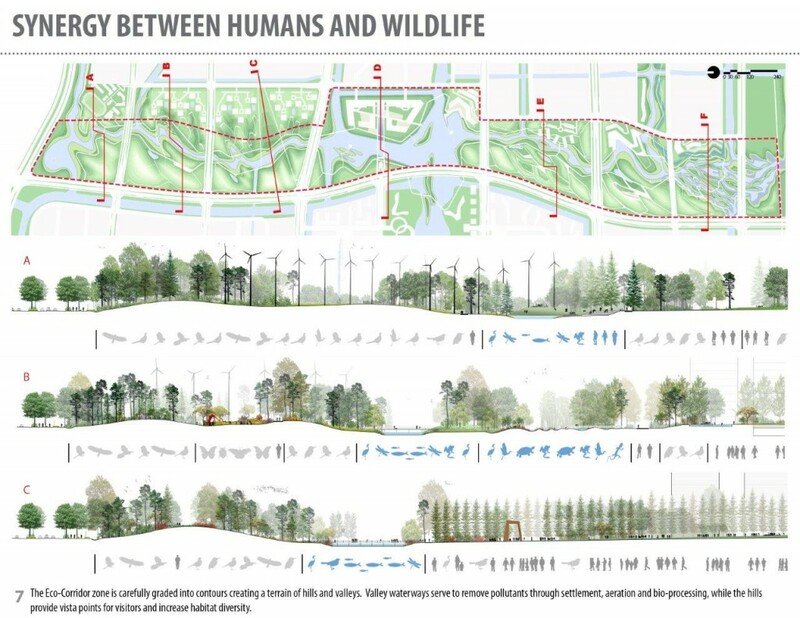 We are happy to have contributed to this award-winning project that is providing a regenerative future and a positive development approach in China. 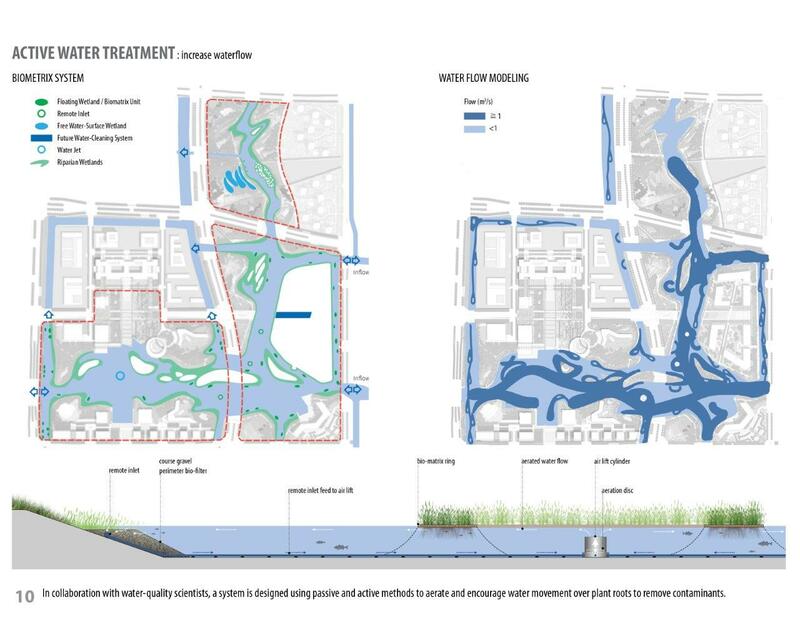 Mark Merklebach, Director of International Project for Herrera, will be speaking at the ASLA Conference in Boston on November 18th, in a session entitled “Appropriate Interventions in Making Vernacular Stormwater Infrastructure” so you can hear more about this and other project work. If you’re at the conference, drop in. 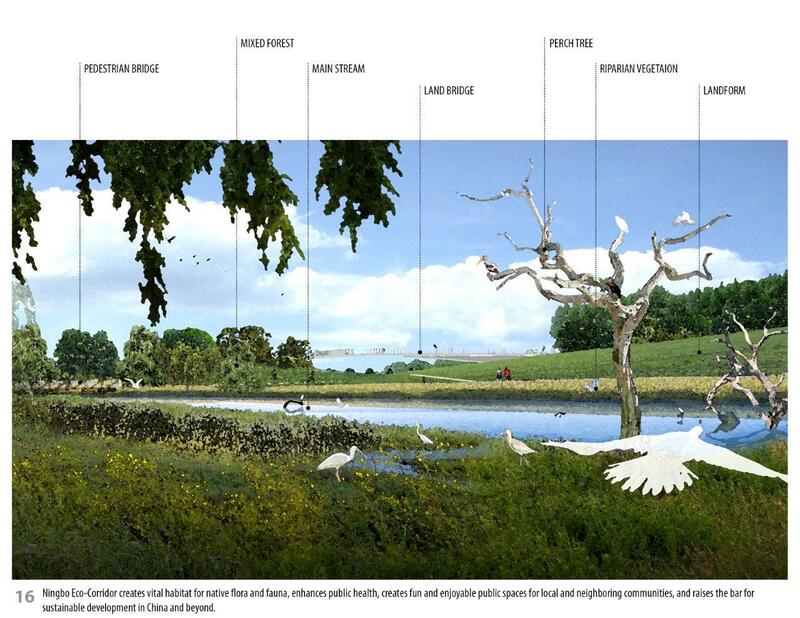 Images via ASLA, courtesy of SWA Group.